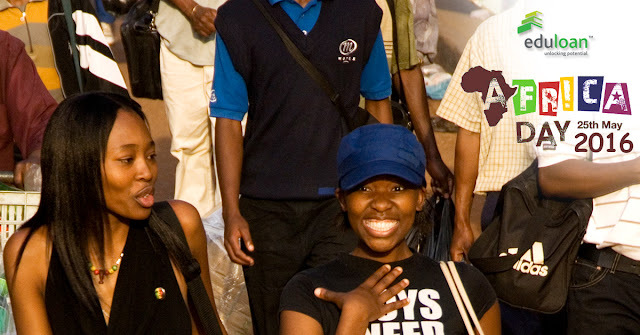 It's Africa Month – a time to highlight the opportunities that lie on our continent. It's also a time to celebrate everything that makes us who we are. In fact, it's also a good time to evaluate what it means to be African. And the best way to do this is to find out from our fellow Africans. How do our fellow Africans see themselves? If we talk to the people around us about what it means to be African, you'll usually end up with clusters of similar answers. Each person has his or her own individual idea of their African identity, and they express these in a bewildering variety of ways. However, they all tend to agree on a few broad characteristics. The most common feelings that people have about being African relate to a deep sense of opportunity. The types of opportunities that people see vary from one person to the next, but the common thread is that they all feel privileged or empowered by the opportunities they see around them. They describe a sense of having the opportunity to create their own identities, to pursue their own goals in life and to shape their lives in their own ways. They feel free to express themselves as fully as they can – to self-actualise. They experience this as a special feeling, and the more sober-minded among them will usually say that they feel it is a privilege. Their sense of opportunity extends beyond their personal lives; something that is especially true among the so-called millennials, who have a well-developed sense of social responsibility. They see the opportunity to shape the destinies of their countries and of the continent as a whole. They also appear to have a deep understanding of the opportunities they have to influence future generations in ways that are more beneficial to human relations, relations between countries, our relationship with animals and our sustainable coexistence in the environment. The traditional, even ancient, pan-African vision is that African people, whether on the continent or overseas, have a common history and share a common destiny. Fortunately one generally finds that this is mirrored in the attitudes of people in the street. They are strongly disposed towards the idea that cultural diversity is a central aspect of life in Africa. We all know this is true – we only have to look around us every day as we interact with our fellow countrymen here in South Africa. There is also a deep sense of tolerance. Africa has seen more than its fair share of war, genocide, poverty and other miseries, but its people remain unbreakably tolerant, not only of others, but of the very hardships of life. It is this endurance that can be seen in everything from the woman who walks 5 miles before dawn to fetch water, to world champion Ethiopian long-distance athletes. Along with this is a flexibility that permeates all aspects of society. As a continent almost entirely made up of developing countries, there is vast flexibility to still shape the places where we live, the values we share and the ways in which we interact. Being African is also characterised by a feeling of connectedness to powerful, almost primordial, forces. This is expressed in many different ways, from music to art and fashion, from our spiritual rituals to character traits like humility, empathy and respect. One of the ways in which this connectedness is most strongly felt is in the way Africans describe themselves as embodying the struggle of their ancestors – how this is etched into their souls. They are naturally aware of the long journeys that previous generations undertook to reach the point where we now are. It is this foundation of resilience and of overcoming through struggle that has produced an African outlook of hope, at an personal level, and applied to broader society and the continent as a whole.